11/29/2018 (09:00PM - 09:31PM) (Thursday) : Will (Eric McCormack) convinces Grace (Debra Messing) that her boyfriend, Noah (guest star David Schwimmer), isn't in the wrong by refusing to let her meet his daughter, Katie. When Grace goes to apologize to Noah, she unintentionally meets Katie. 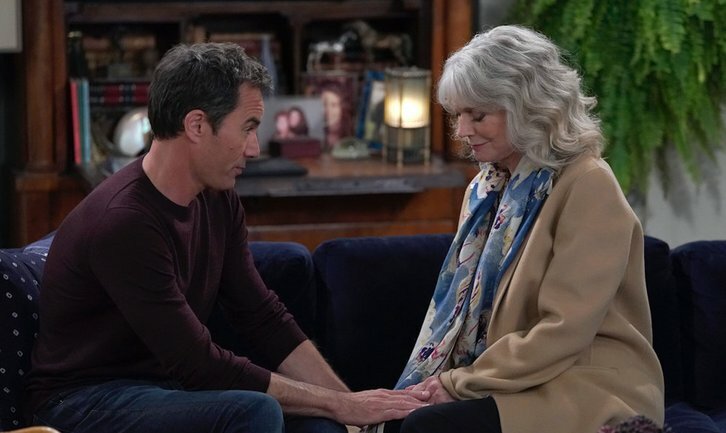 Meanwhile, Will's mom, Marilyn (guest star Blythe Danner), visits after the death of her beloved dog, and becomes upset when she doesn't get the emotional support she expects from her son. And Jack (Sean Hayes) gets into an argument with his rec center boss, Theo (guest star Derek Gaines).